The body's back, but our chrome needs work. We literally cut our lens out with a Dremel tool. With the lens out, we could work on rechroming this. 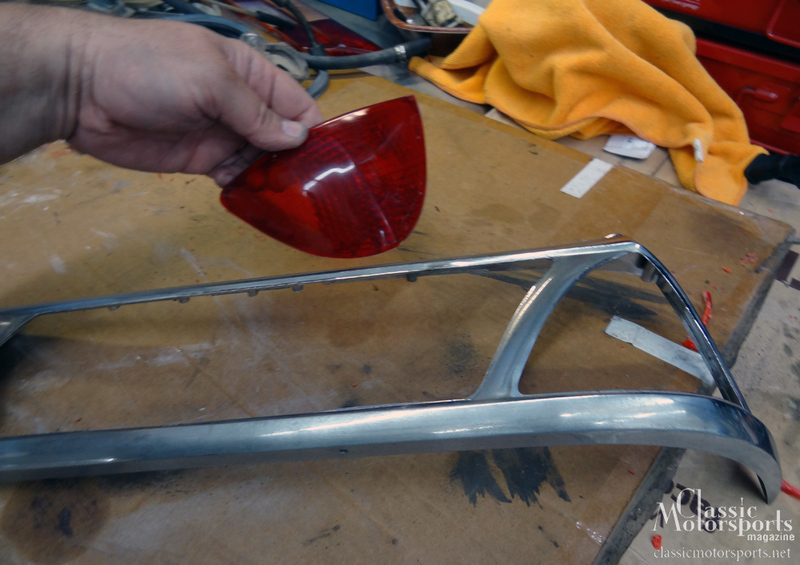 While the rest of chrome was being replated at Graves Plating, we worked on the taillights. The taillights on an old W111 Mercedes like ours have a lens that is bonded or molded on to the chrome taillight bezel. Initially, we decided that there was no way to separate the lens from the bezel, so there’s no way to rechrome the taillight. 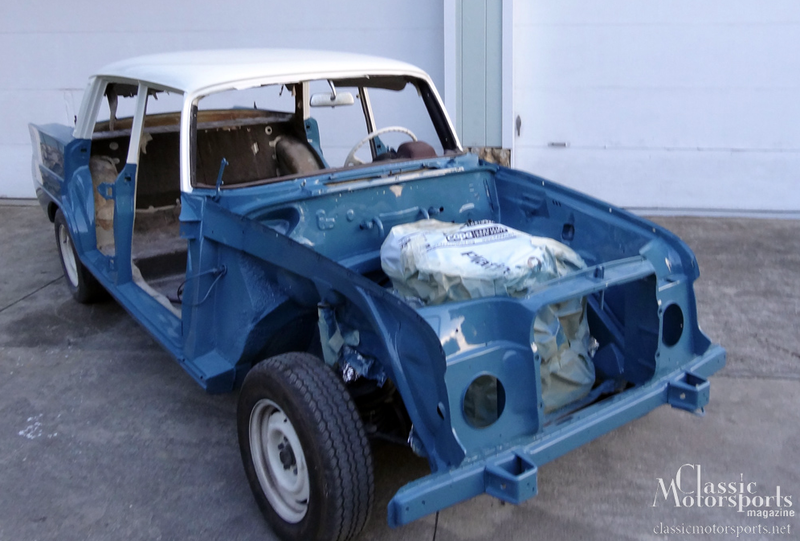 We would have to use some of this new-fangled chrome paint to replicate the real chrome we were going for, but even painting the chrome and working around the lens would be nearly impossible. With a little more study, we soon realized that we could carefully cut the lens away from the chrome bezel with a Dremel tool. 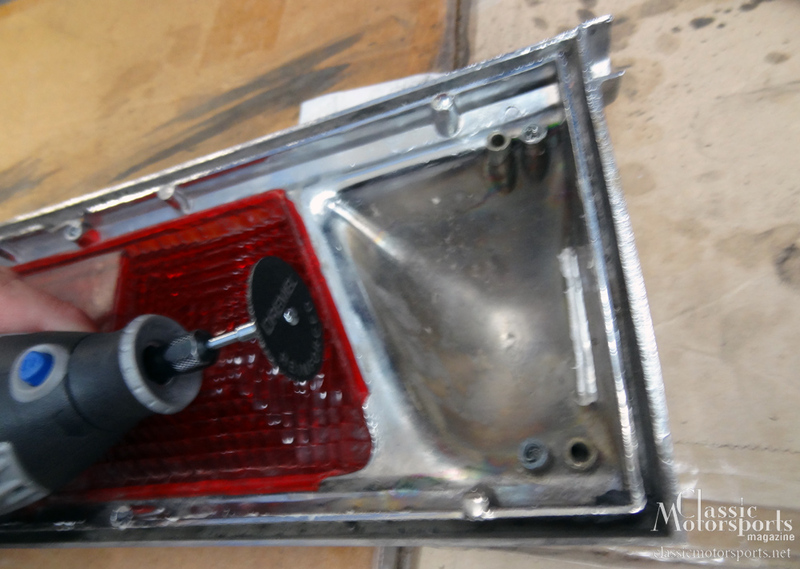 After painting or chroming the taillight bezel, we could glue the lens back into the bezel. While not optimal, it would work, and nobody would be the wiser. That said, we had already sent our chrome to be plated and we were out of time. We would have to temporarily paint the taillight bezels. Eastwood has a new two-part liquid chrome kit. This kit (part #12451Z-12453Z) has a base-chrome paint and a clear that has to be sprayed over it. 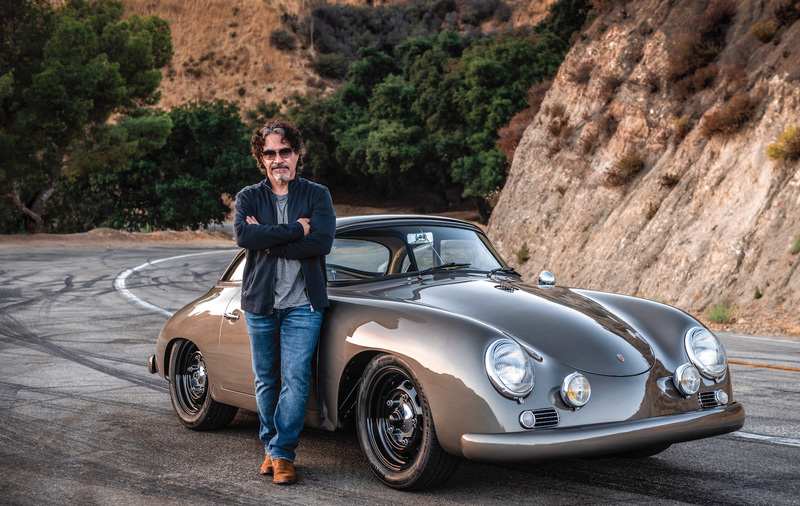 We’ll give you full details in an upcoming issue of Classic Motorsports magazine. Bottom line: The stuff works. Our taillights, while they don’t quite match the rest of our amazing chrome, came out pretty darned good.